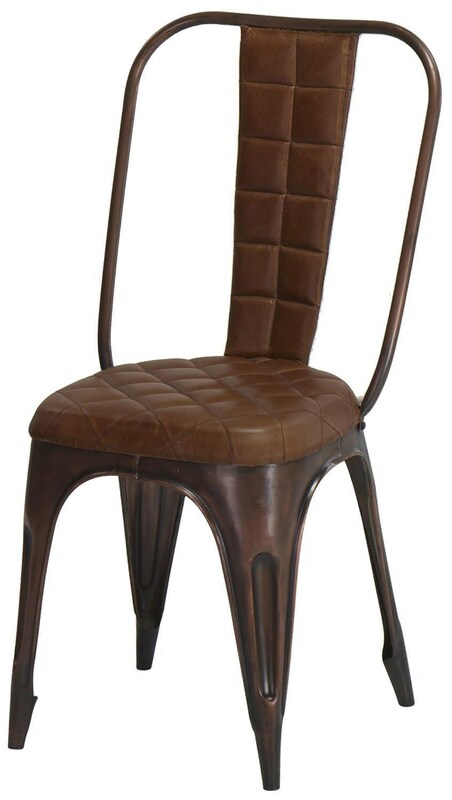 The frame of this versatile chair is constructed, using MIG welding joint methods, of cast iron in an antiqued copper finish. The upholstery is quilted leather. The Artisanal Alchemy Rackland Dining/Occasional Chair by Jaipur Furniture at Sam Levitz Furniture in the Tucson, Oro Valley, Marana, Vail, and Green Valley, AZ area. Product availability may vary. Contact us for the most current availability on this product. Browse other items in the Artisanal Alchemy collection from Sam Levitz Furniture in the Tucson, Oro Valley, Marana, Vail, and Green Valley, AZ area.